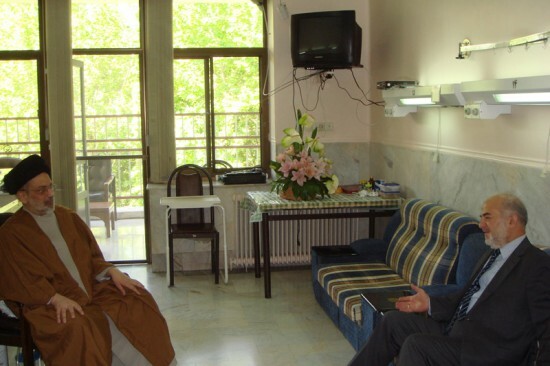 Ostensibly, the visit by Maliki to Tehran was for “private” reasons, but he did manage to find time in his schedule to visit Abd al-Aziz al-Hakim of ISCI. According to a press release, both men stressed the importance of “strengthening” the United Iraqi Alliance. If history should provide the guidelines, it would be relatively easy to prescribe a solution to what is frequently seen as one of the most “complicated” issues in current Iraqi politics: The status of the oil-rich city of Kirkuk. A variety of different historical sources prior to 1957 and dating back several centuries unequivocally designate Kirkuk as a town dominated demographically by Turkmens, who for their part were famous throughout the Iraqi region from Basra to Mosul for their leading role in the Ottoman and later Iraqi administrations. Traditionally, the Kurds in this area, whose relationships with the Ottomans and later the Iraqi government in Baghdad were far more tenuous, had their strongest presence in the rural hinterland outside Kirkuk. Accordingly… Full story here. Nuri al-Maliki’s ally Adnan al-Zurfi has finally assumed the governorship of Najaf, after initial attempts by the Islamic Supreme Council of Iraq (ISCI) to mount a legal challenge to his candidacy (see entry for 8 May, below). Part of the story is an internal Shiite quarrel about the authenticity of a letter from the legal committee of the Iraqi parliament, ostensibly signed by the Sadrist Baha al-Araji and supporting the challenge by ISCI to Zirfi. Araji now claims the letter is false and that he could not have possibly signed it since he was in Istanbul with Muqtada al-Sadr on the 3 May, when the letter was issued. Meanwhile, whereas Maliki’s comments to al-Hurra television on 14 May about “majority rule” have been rendered with an unduly sectarian tinge in Western media (he also condemned the concept of sectarian-based alliances), it does seem both significant and worrisome to those who prefer a non-sectarian political atmosphere that he did participate on 20 May in a meeting presided over by ISCI’s Humam Hammudi and aimed at reviving the Shiite-led United Iraqi Alliance (see also entry for 13 May below). 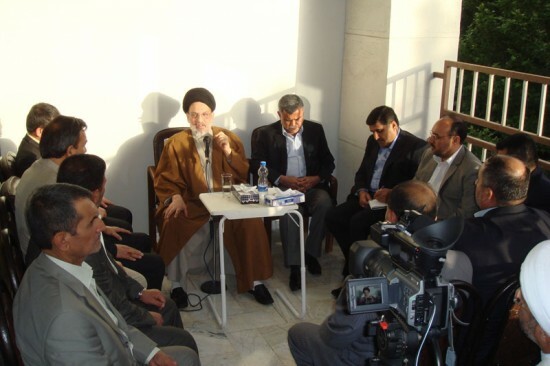 The meeting comes in the middle of a hectic round of consultations between ISCI’s leader Abd al-Aziz al-Hakim and various leading ISCI and Badr figures, apparently all taking place in Tehran where Hakim is being treated for cancer (photos below). The two last weeks have seen considerable confusion about the Iraqi oil ministry’s position concerning oil exports from Kurdistan, where the regional authorities have signed a number of exploration and drilling deals with foreign oil companies without consulting Baghdad. News that Baghdad had given the go-ahead for exports from the fields concerned by these deals prompted wild news reports about some kind of “grand compromise” between the Kurds and Baghdad on an oil law, which has stalled since the first drafts were written back in 2006. However it soon became clear that there was no compromise at all, as the Iraqi oil ministry stated that it still does not recognise the deals that the Kurds have cut with foreign companies. Accordingly, the only interpretation that could reconcile the seemingly contradictive position by the Iraqi oil ministry would be that Baghdad would allow exports to go ahead, but would at the same time keep the oil income for itself in the centrally managed account before redistributing back to the Kurds the 17% agreed as Kurdistan’s share during the annual budget negotiations earlier this year. This, of course, would involve no payment to the foreign companies concerned: DNO (a small private Norwegian company) at Tawke, and the Turkish-Canadian joint venture that is involved at Taq Taq. If Shahristani stands by his current position, this situation will involve dilemmas for the KRG. Like other administrative entities in Iraq (elsewhere known as non-federal muhafazas or provinces), the KRG will receive its share of Iraq’s total oil income. But even if the agreed share of 17% for Kurdistan is generally seen as inflated in proportion to the relevant demographic numbers, the KRG will have a problem in that it will probably have to use these funds to pay DNO (which apparently will not get any money from Baghdad) for operating the field. This could leave a net economic result that is worse for Kurdistan than other administrative entities in Iraq, which can use the oil money they receive in its entirety to finance local services for their inhabitants, without having to worry about payments to foreign companies. This leaves Kurdish authorities with the quandary of whether they should pay the foreign companies in order to honour their own contracts or not. It is probably painfully clear to them that if the contracts had been submitted to Baghdad, Kurdistan would have received exactly the same sum of money without having had to pay anything to the foreign companies (who would instead be paid by Baghdad – that is, if the contracts were found to be “in Iraq’s interests”, as Shahristani has described it). True, Shahristani, too, is under considerable pressure to boost oil exports, but if he should choose to suddenly turn around and accept both production sharing agreements (PSAs) with two foreign companies and regional negotiation rights – traditionally red lines for Baghdad politicians – angry reactions inside and outside the Iraqi parliament would likely follow. 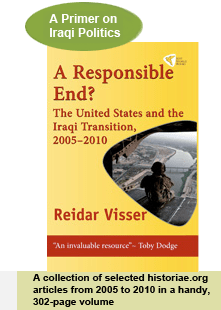 There the mood is that Iraq can still afford to keep the constitutional process and the question of foreign oil investment separate from each other, without having to surrender entirely to foreign investors and the forces of international capitalism. According to a brief press release of today’s date described as “very important” by the Islamic Supreme Council of Iraq (ISCI), Abd al-Aziz al-Hakim has charged another prominent ISCI figure, Humam Hammudi, with the job of reviving the (all-Shiite) United Iraqi Alliance (UIA). The communiqué lists the achievements of the UIA until this date but warns that Iraq’s future challenges, and especially the threat from insurgents (whether Islamists or Baathists), are such that no disunity between the UIA components can be allowed. Of course, disunity inside the UIA has been the dominant theme since at least the summer of 2008 (when even its perceived centre began to crumble), to the point where the alliance today is almost defunct. 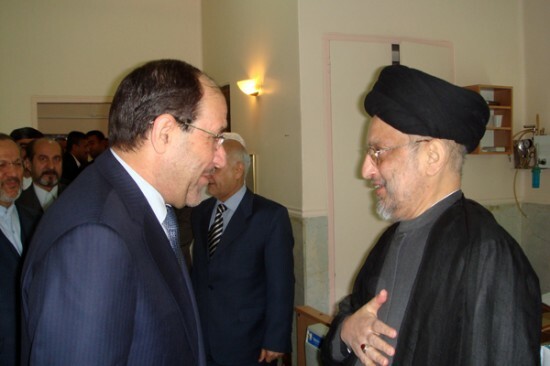 But when Maliki in March tried to go ahead with forming provincial councils on an anti-ISCI platform and reached out to secularists and Sunni parties that are unfriendly with ISCI, criticism from inside the Shiite community (and most likely from Iran too) soon manifested itself. Going forward, the fate of Hammudi’s UIA mission will be an important indicator of what kind of political climate we can expect from the next parliamentary elections in Iraq, and above all whether the politics of fear will continue to prevail (more on the UIA revival scheme here). Maliki Makes a Concession to Basra Regionalism? News reports from Basra suggest that Iraq’s Prime Minister Nuri al-Maliki has made an interesting concession to regionalist sentiment in the southern oil-export city of Basra. According to a statement by the spokesman of the new governor in Basra (who is also a Maliki ally), one half US dollar will henceforth be deducted from every barrel of oil exported from Basra and placed in a special development fund for Basra. In some ways, the move could be seen as compatible with – and indeed inspired by – the 2005 constitution, where a general provision for a temporary positive discrimination of particularly deprived governorates through the use of oil revenue is found. Most statistical surveys single out Basra as the area of Iraq where living standards remain at the lowest level, in glaring contrast to the governorate’s position as the major oil producer and exporter in Iraq. However, while the relevant constitutional clauses focus on deprivation, the link to Basra’s role as producer has other roots. The half-dollar deduction will meet a long-standing demand by Basra politicians that their area’s role as the kingpin of Iraq’s economy be reflected in some kind of special political privilege. Actually, back in December 2007, Basra politicians of the Fadila party proposed an arrangement which is remarkably similar to what is now being talked about as a governmental “decision”: Basra should receive one dollar per barrel of oil exported from the south. The difference between Fadila in 2007 and Maliki in 2009 of half a dollar can reasonably be attributed to the general decline in oil prices and a bit of bazaar-style haggling between centre and periphery. While one incarnation of Basra regionalism was roundly rejected by the local citizens as they chose to ignore the federalism initiative headed by Wail Abd al-Latif in the winter of 2008/2009, the apparent decision of a centralist like Nuri al-Maliki to make concessions to local sentiment even after his particularly strong result in Basra in the January provincial elections testifies to its survival in other forms. One cannot help wondering, though, whether this is really a decision that the prime minister is in a position to make without at least a little consultation with the Iraqi parliament? Posted in Basra and southern regionalism, Iraqi constitutional issues | Comments Off on Maliki Makes a Concession to Basra Regionalism? Just days after the provincial council of Najaf voted in favour of Adnan al-Zurfi as new governor – backed by a pro-Maliki alliance and against the votes of the Islamic Supreme Council of Iraq (ISCI) – a legal challenge against Zurfi’s accession to the governorship has been mounted. Technically, the challenge has been initiated by the legal committee of the Iraqi parliament. Unsurprisingly, however, ISCI’s governor candidate for Najaf and Zurfi’s main competitor, Asaad Abu Gulal, has been foremost in publicising the decision, with a special press conference in Najaf on 4 May. The decision itself is procedural and relates to the way in which an extraordinary convening of the provincial council rather than a regular meeting produced the vote in favour of Zurfi, after an earlier meeting had ended inconclusively and without immediate recourse to the legally-mandated second round of voting for the two candidates with the highest number of votes. While all of this may be true, it has to be said that this sudden upsurge of fervent legalism by members of the Iraqi parliament does come across as somewhat remarkable in a context where the existing Iraqi legal framework has been routinely tested, bent and violated in a number of other key decisions relating to both provincial government as well as the constitutional provisions themselves. Also, the ISCI representatives and their partners did show up for the disputed vote and cast their ballots; the criticism of the decision to go ahead with the meeting seems to have emerged retrospectively. An interesting detail in all of this is that the letter from the legal committee of the Iraqi parliament communicating the rejection of the pro-Maliki Zurfi’s right to be governor was signed by Baha al-Araji, a prominent Sadrist and ostensibly an ally of Maliki at the moment. Back in 2007 he did something similar which also hurt the Maliki government, except that on that occasion his letter served to protect Basra governor Muhammad al-Waili against the combined efforts of Daawa and ISCI (then allies) to oust him from his job through a vote of no confidence. As such, this latest move, which may now end up being settled by the Iraqi federal supreme court, could be an indication of which way winds are blowing at least inside the “parliament of 2005” and some Shiite Islamist circles. Through selecting Ibrahim Salman al-Mayali as new governor on 30 April, the provincial council of Muthanna became the third of the nine Shiite-majority governorates south of Baghdad to emerge with a stronger than expected position for the Islamic Supreme Council of Iraq (ISCI) after their setback in the January local elections. Even if the Muthanna council was always going to be a difficult one for Maliki given the high degree of fragmentation (9 parties are represented in the 26-man chamber, with no single list counting more than 5 representatives), the outcome may be an indicator of some of the internal Shiite resistance to the direction of his policies at the national level. Just a little more than a month ago, Maliki’s coalition believed it commanded the loyalties of around 14 members of the council, just enough to form a coalition. But then things changed, and a 13-13 stalemate ensued in early April. And now, yesterday, Mayali, originally an independent member of Maliki’s coalition list, defected so that the pro-ISCI members of the council could elect him with 14 votes as the 12 remaining Maliki loyalists absented themselves from the proceedings. The council also voted for pro-ISCI figures as head of the provincial council and as deputies to the governor. On the other hand, in Najaf, things went Malikis way, as Adnan al-Zurfi, member of a secularist-leaning local list who served as governor of Najaf under Ayad Allawi back in 2004, was voted in as governor today, against the votes of ISCI. The outcome is remarkable because Najaf is one of the few places in Iraq where there seemed to be genuine enthusiasm among segments of the population for the pro-federal ISCI-led regime that lasted from 2005 to 2009, in this case under Asaad Abu Gulal. Abu Gulal was ISCI’s candidate this time too, reportedly after an internal split had caused friction as some members of the Badr Organization had wanted the former deputy governor, Abd al-Husayn Abtan, to stand instead. Iraqi commentators are divided as to the reasons for the long delays in forming councils south of Baghdad, which only was completed today with these two latest appointments. 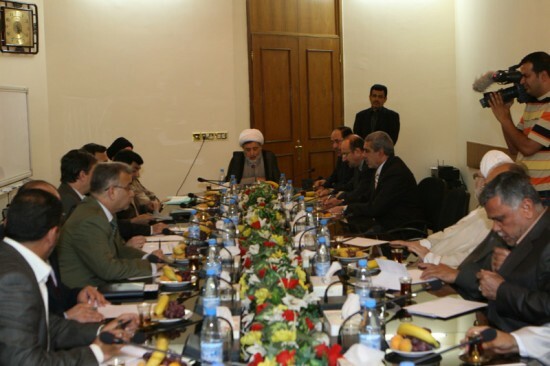 Some claim that there existed some kind of central agreement on creating a repeat at the provincial level of the all-Shiite United Iraqi Alliance from the 2005 national elections (and hence, a rapprochement between Daawa and ISCI), and that any divergences from this model can be attributed to squabbling of a very local character. (As late as two days ago, for instance, there were reports that agreement had been reached to split the Muthanna posts according to a complex formula in which one coalition would obtain the governor position as well as the deputy of the speaker of the council, and the other would get the speakership as well as the two deputies of the governor.) This interpretation, however, seems to discount the fact that Maliki very clearly did make attempts at some kind of dialogue with anti-ISCI Sunnis and secularists (such as Salih al-Mutlak) back in March, which would have meant an alliance on the pattern of the 22 July parties (the inter-sectarian coalition that last year demanded special arrangements for Kirkuk to reduce Kurdish influence there) and the logical opposite of a return to the UIA. And in Najaf, too, there seems to be a case of Maliki preferring to distance himself of ISCI instead of rebuilding an alliance focused on sectarian unity. The selection of Zurfi may prove controversial among some Sadrists (many of whom were in conflict with him back in 2004 and may not have been impressed by the reconciliatory moves he made towards the end of his tenure), and therefore appears to be another example of Maliki trying to build bridges with secularist circles rather than stressing sectarian unity at any cost. 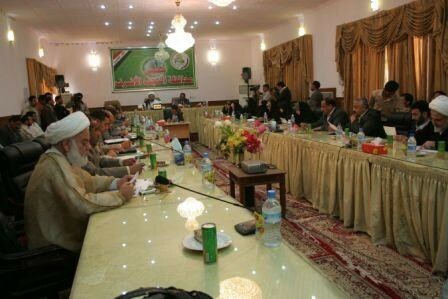 In sum, Maliki apparently pursued a policy of confrontation with ISCI in seven out of nine governorates. This ultimately succeeded in six places (Basra, Dhi Qar, Qadisiyya, Babel, Najaf and Karbala) and failed in Muthanna. In Maysan and Wasit, a different policy of cooperation with ISCI prevailed.